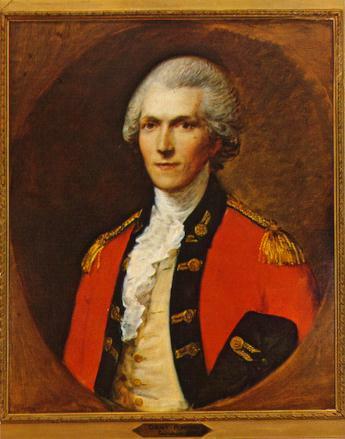 "Count Rumford by Gainsborough, a copy of which is on display at Count Rumford's birthplace, Woburn, Massachusetts. The painting, formerly in possession of Countess Rumford, is now in the collection of the Reverend Sheafe Walker, Concord, New Hampshire." From an undated postcard printed by the Rumford Historical Association, 90 Elm Street, Woburn, MA 01801. I think the original painting is now in the Fogg Museum at Harvard - Jim Buckley, 1996.